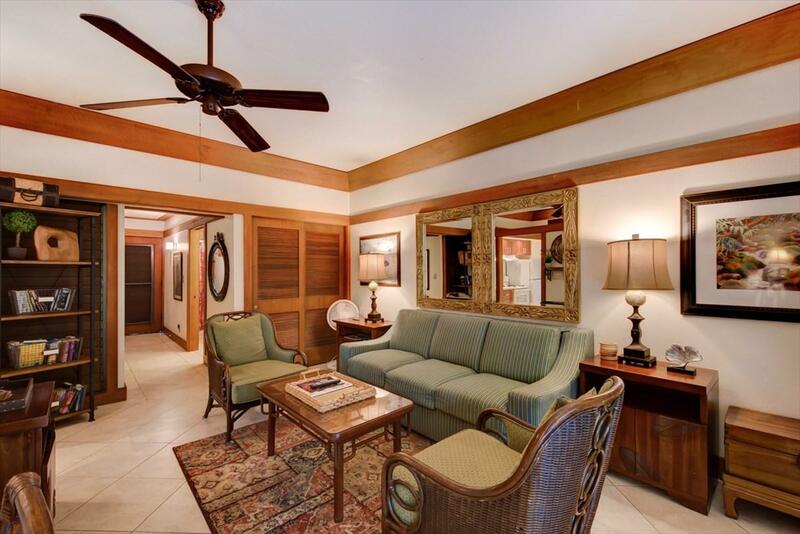 This charming ground floor end unit has a luscious garden view in the historic Kiahuna Plantation. The current owners operate this as a successful vacation rental with 5 star reviews. Consider buying with the lovely Unit #331 for a corporate retreat.This beautiful one bedroom, one bath unit, has fully tiled floors, stunning koa wood cabinets, and up to date appliances. 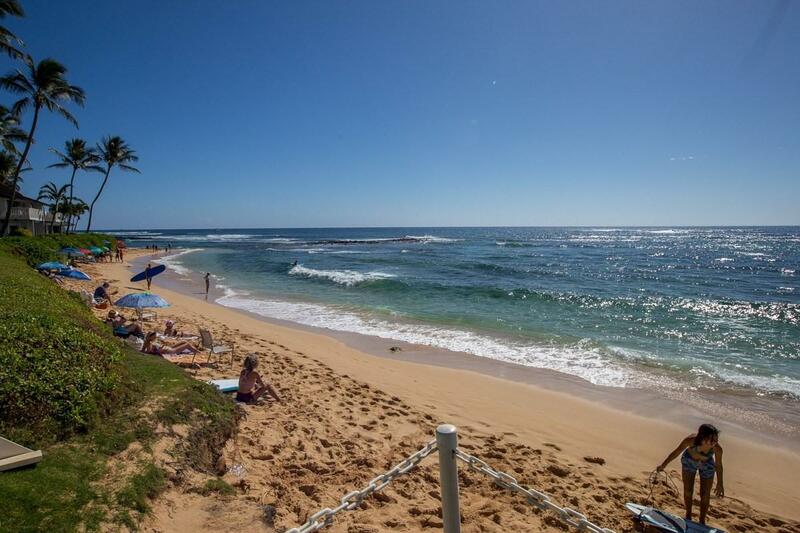 Its just a quick stroll to the very popular Kiahuna Beach and walking distance to many restaurants, shopping, even golf! 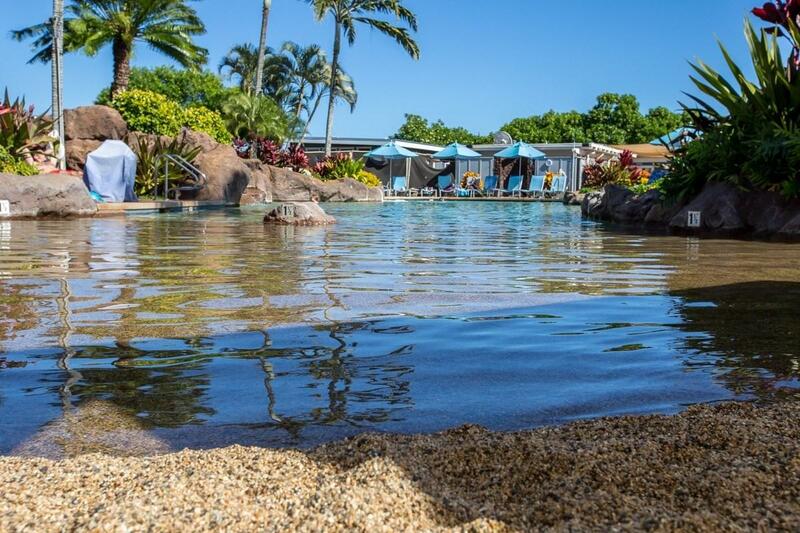 Enjoy the tennis courts, the swimming pool or fine dining in the restaurant located on the beautifully landscaped Kiahuna Plantation. The plantation is on 35 acres of beautiful lawns, with palm trees, orchid and cactus gardens, and breathtaking koi ponds! 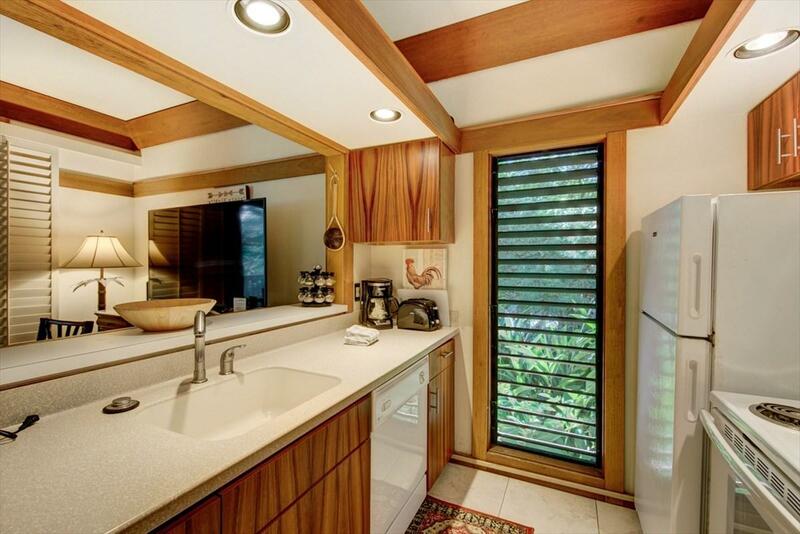 Escape to paradise today in Kiahuna Plantation #442!